Apple Crisp for One ~ Needs a little help! Perhaps should call it apple mush! I am once again pushing the clock to get my daily post up. 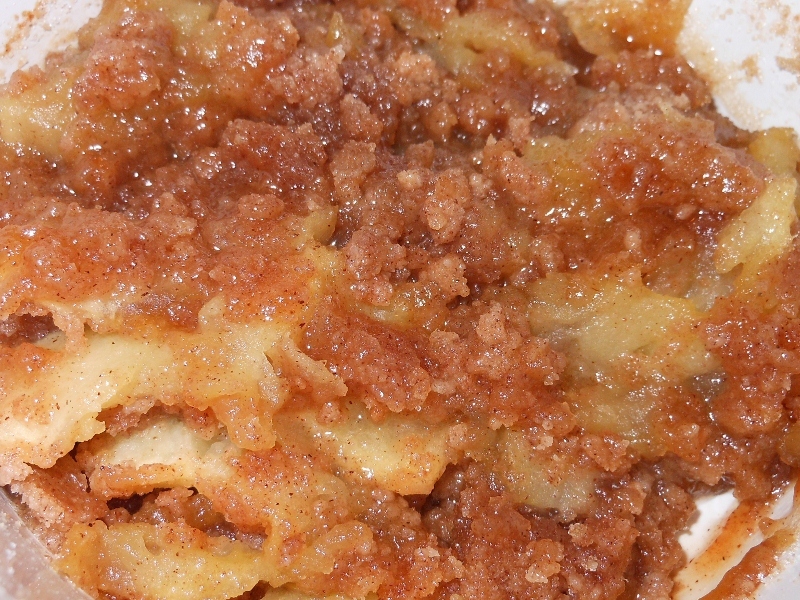 I decided to make Charles a little apple crisp. It smells really good but it has some issues. I did find one flaw as it baked; I needed a bit more butter so I added a tablespoon of butter cut into little pats in the last 5 minutes to help the “crisp” crisp. I like the version without oatmeal; that’s how mom always made it. I must find her recipe and post it soon; I just can’t remember where it is! *** I tasted it after I posted so I am going to update with a few comments; I think maybe I used too much flour and I used granny smith apples (I had them in the house) ~ my apples are a little mushy and the flavor is a bit flat. The crisp isn’t crispy enough either; maybe all of the sugar should be mixed in the topping so as to “melt” through? 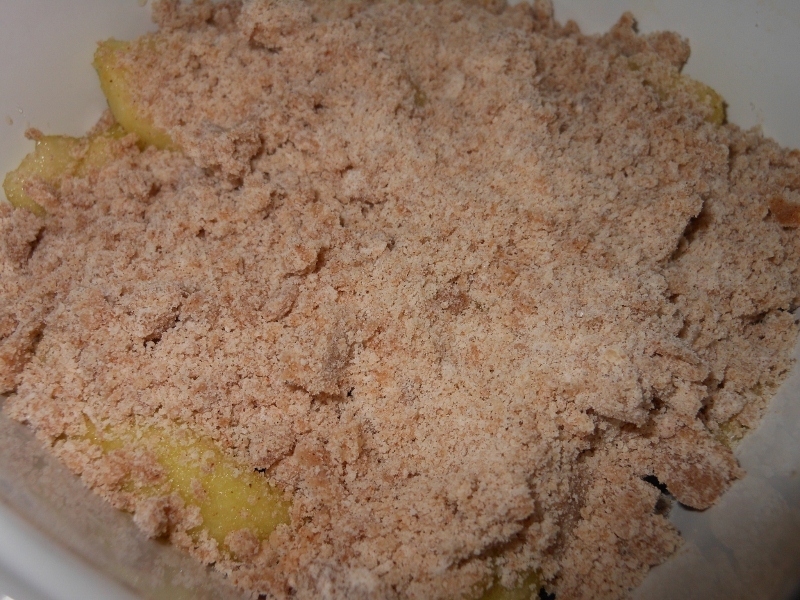 Mix apple with brown sugar and lemon juice. Pour into bottom of little casserole or gratin dish. Cut 1 Tbs butter into flour, sugar, and cinnamon until crumbly. Pour over top of apples. Bake at 375 degrees for 30 minutes. Cut remaining butter into little pats at place on top; bake an additional 5 – 10 minutes or until apples are tender. If anybody has any feedback about how to make a delicious crisp I’d love to hear where I went wrong! I have my ideas I’d mentioned before, but a little help is always welcome! Here’s my picture after I stirred it around and picked at it to see where I went wrong…. This entry was posted in Desserts, Recipes and tagged apple, baked, crisp, food, recipe. Bookmark the permalink.